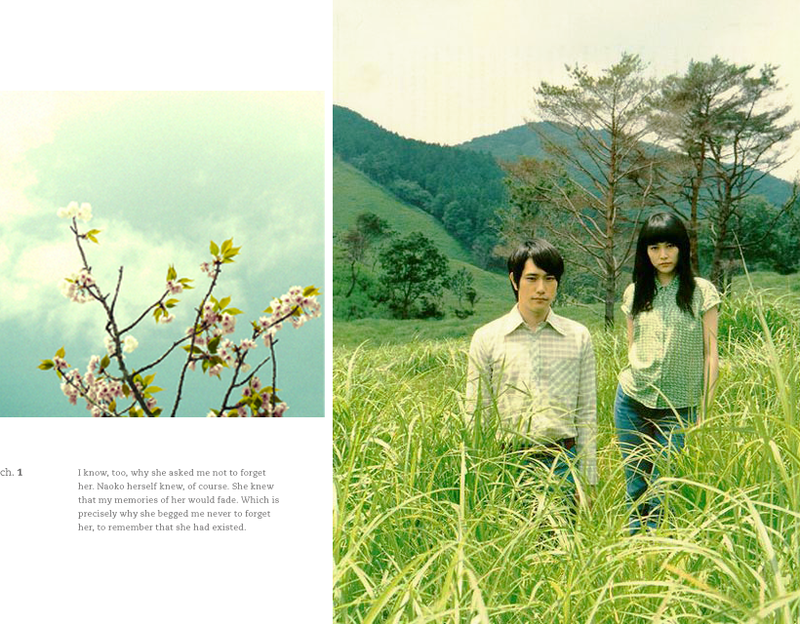 The elements for Haruki Murakami’s Norwegian Wood are nothing I haven’t heard before. Coming of age mixed with a lover’s triangle of sorts and sprinkled with the usual teenage angst. It’s nothing groundbreaking. However, the way in which the story is told leaves a staggeringly deep kind of imprint. It walks about quietly and things fall quite subtly into or out of place. Although set in the 60s, I can’t help but impose it upon the present or my many years living in Japan–it lends itself to that, not really emphasizing the time and focusing more upon the characters. The elements of Norwegian Wood may be nothing new but maybe that’s because I’ve known the story all along. In the first few pages we meet the protagonist who, upon hearing a song, is launched into his own hazy history. How many times has that happened to us? Photos from the movie adaptation below.